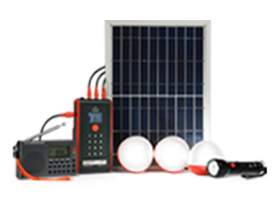 The d.light S500 solar-powered lantern ensures that your mobile battery never runs out, while also illuminating your home or business. 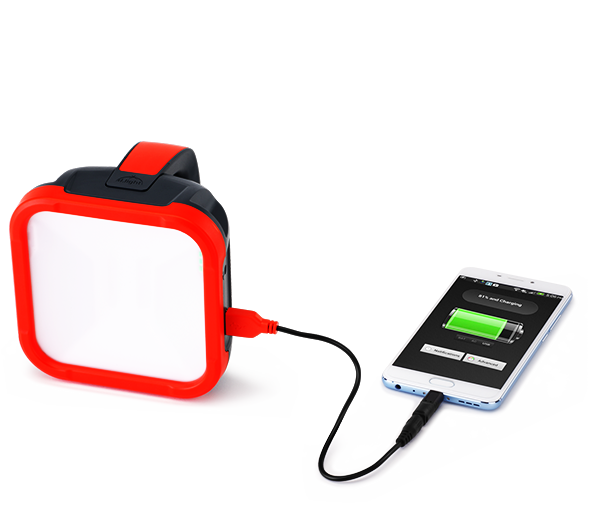 The USB-enabled lantern comes with mobile phone battery chargers­. The unique, angled lens of the S500 reflects light at a wide angle, allowing it to light up an entire room. The sturdy, rugged design of the S500 ensures that you have a fully charged mobile, whenever you need it. 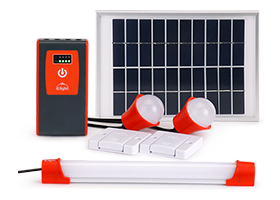 The d.light S500 is simple and easy to use. 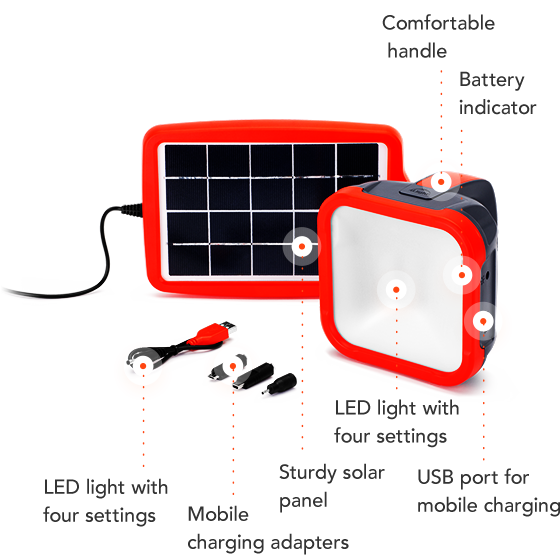 Just plug the solar panel into the lantern, charge the unit during the day, and connect your mobile. 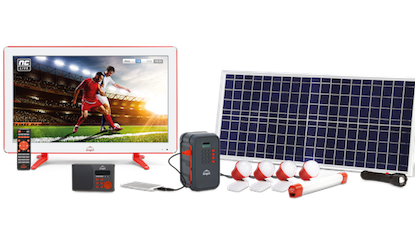 Save money and time with the S500. The S500 provides four different brightness settings, from our "Bedlight" to "High", to suit your need. Whether it is working at night or simply socializing, the S500 is a constant companion. 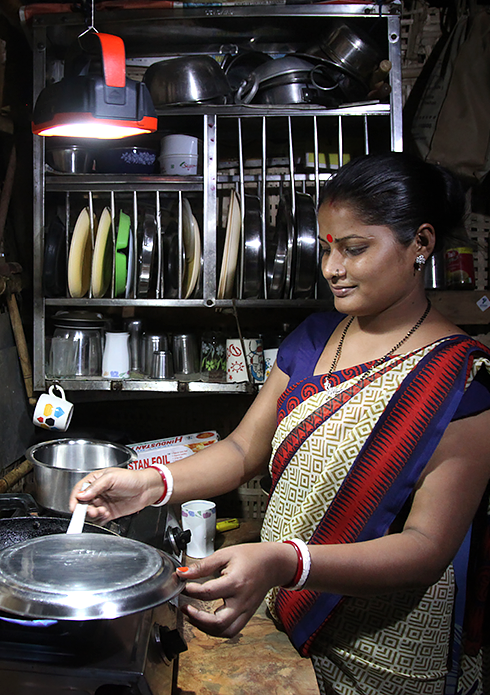 The S500 automatically adjusts light brightness at low battery to extend light runtime by up to two additional hours. The S500 comes with an in-built USB port capable of charging mobile phones. The d.light S500 ensures that you are always connected wherever you are. 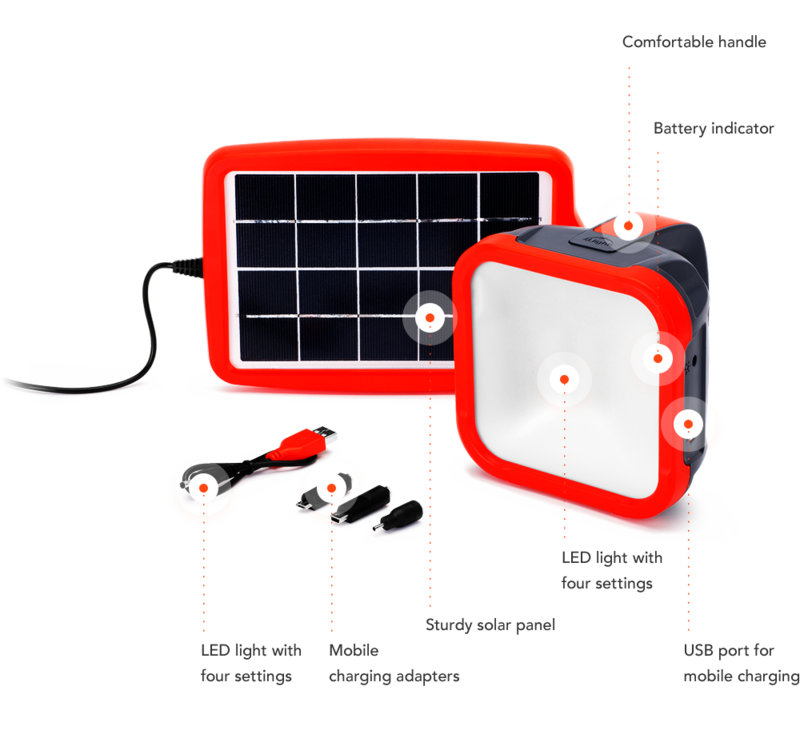 The solar lamp's unique shape allows it to be propped on the floor, angled sideways, or hung from overhead. 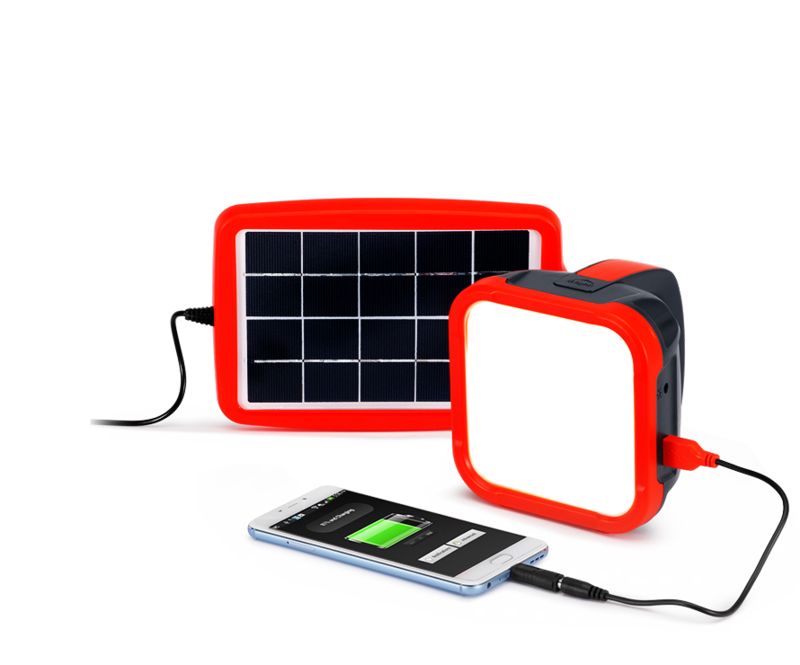 The range of settings provides bright, clean light for your home or business, and you can also charge your mobile phone. 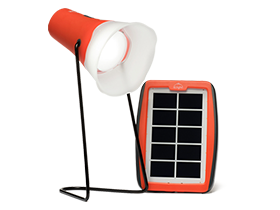 Illuminating your home or an outdoor area—studying, cooking, sewing, harvesting, walking at night, camping.